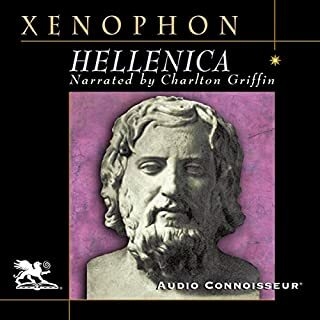 Divided into eight books, Thucydides chronicles the war between Athens and Sparta in a detached manner that gives the listener a factual look at not only the war but also the historical period. Thucydides had a passion for accuracy and disliked the idea of romanticizing matters of history, which makes his work perfect for those who want an authentic picture of the Peloponnesian War. The History of the Peloponnesian War includes information on the development of military technologies of the time as well as the Athenian empire and earth sciences. Unlike much of the literature that came out of ancient Greece, the gods are not a focus, though Thucydides does draw heavily from Greek myth. 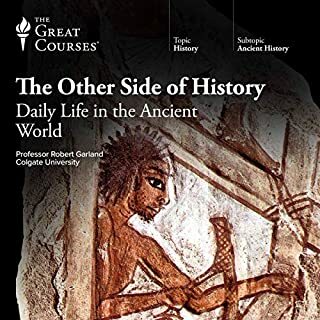 One of the most interesting things I have found about ancient literature is how closely it can reflect the problems that modern societies face today. 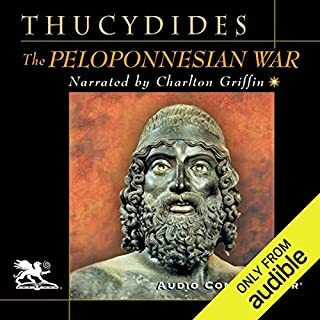 The Peloponnesian War is an account of the Corcycran revolution and provides plenty of insight of what happened during this war. 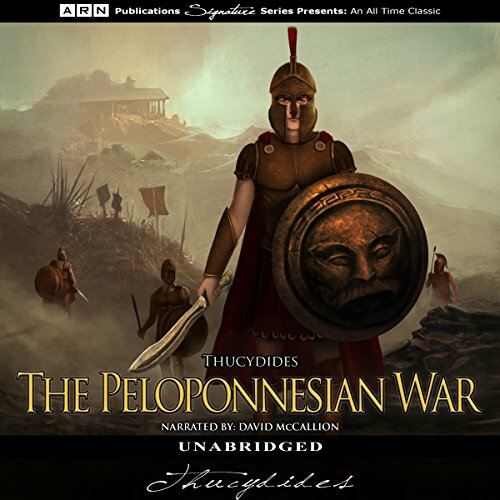 Thucydides goes into great detail about various battles, speeches, as well as life on both sides of the conflict. 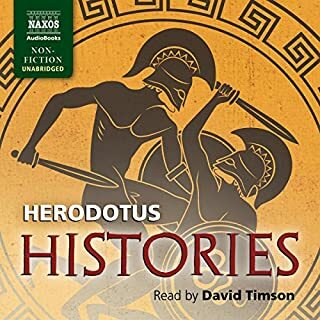 On a side note…this book might be a bit challenging to follow for someone that doesn’t have much background on ancient Greek history, but with that being said David McCallion did a fantastic job with narrating this book and didn’t become tiresome to listen to. 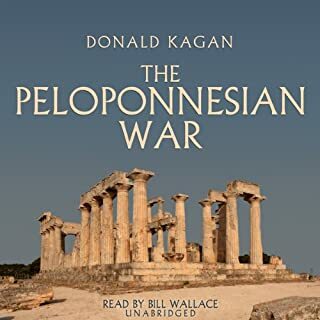 The Peloponnesian War is great for historians or those just interested in ancient history. 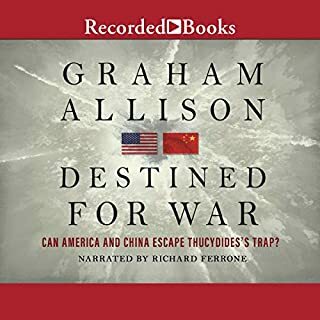 If you are one of those people who prefer to listen than read, I would highly recommend this particular audio version. Narrator needs help with Cambyses and Croesus, etc. Book needs no review, as it’s Thucydides’ dry history. Thucydides's work is so good, but the narrator gives such a robotic performance here. The chap is also clearly not very familiar with the classics as he seems unable to pronounce most of the Greek names correctly. He sometimes even can't pronounce some common English words correctly (i.e. "lieutenant" and "boatswain").